Despite making heavy losses estimated at N70 billion yearly in demurrage on Lagos ports, crippling traffic congestion caused by bad access roads and high cost of transportation, importers and exporters have refused to patronise other ports across the country, THISDAY’s investigation has revealed. There are about nine ports spread across four states in Nigeria, including five ports in Lagos; two in Delta State, Warri and Sapele; and one each in Rivers and Cross Rivers States. But importers and exporters across the country only patronise Lagos ports, despite the huge losses they incur as a result of bad roads and high demurrage. Importers who spoke to THISDAY cited insecurity, low draft and lack of commercial viability as the reasons for the non-patronage of the other ports. They argued that shipping companies do not ship containers to other ports because they do not consider them viable. They also added that importers across the country have no choice but to come to Lagos because other states are not commercially viable enough to attract shipping companies. According to them, they incur loss of over N70 billion annually on transportation cost and demurrage on empty containers and cargo stay-time and rent demurrage in Lagos ports. For instance, each importer, they stated, paid N20, 000 demurrage per container daily on over 2,000 containers. National President of Shippers Association of Lagos, the umbrella body of importers and exporters, Mr. Jonathan Nichol, told THISDAY that shipping companies and terminal operators and transporters were taking advantage of the situation to rip-off importers in Lagos ports. He said importers across the country had no choice but to come to Lagos because other states were not commercially viable enough to attract shipping companies. On his part, President Shippers Association of Calabar, Mr. Mike Ogodo, said it takes at least six months to receive cargo ordered from overseas in Calabar. He said, “If you are exporting goods you wait at least six months to get a vessel to export your goods. “This is because there are no commercial vessels calling in Calabar. If you are an importer, it takes six months of transshipment before you get your cargo in Port Harcourt or Calabar. Why should I pay N1million to transport goods from Lagos to Calabar when I can pay N70, 000 to transport from Calabar port to my warehouse? 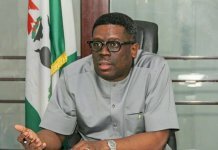 Also speaking, President of the National Council of Managing Directors of Licensed Customs Agents (NCMDLCA), the umbrella body of custom agents in Nigeria, Mr. Lucky Amiwero, said there was a need to move out the backlog of cargo from Apapa to Lily Pond, (Tincan 2) off dock facilities to ease the congestion in Apapa. 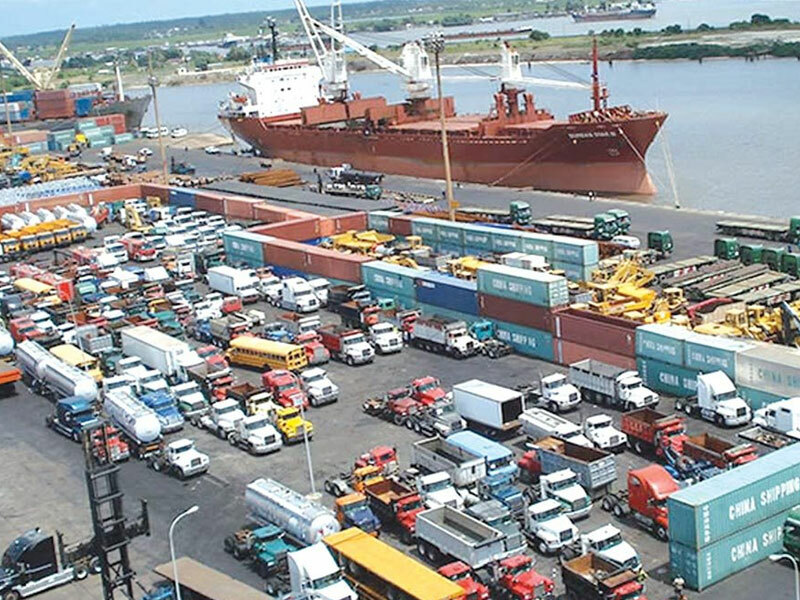 Amiwero, who said importers were losing faith in the port system, said the cost of transporting a 20-feet container from Tincan/Apapa ports to Alaba International Market in Lagos had increased from N120,000 to N400,000 and 40ft container at the rate of N700,000 from N250,000. 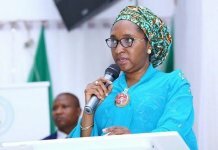 He added that the cost of transporting a 20ft container from Tincan/Apapa to Kaduna, North-west of Nigeria, had increased from N500,000 to N900,000 while it costs N1 million to transport a 40ft container from N600,000 previously. 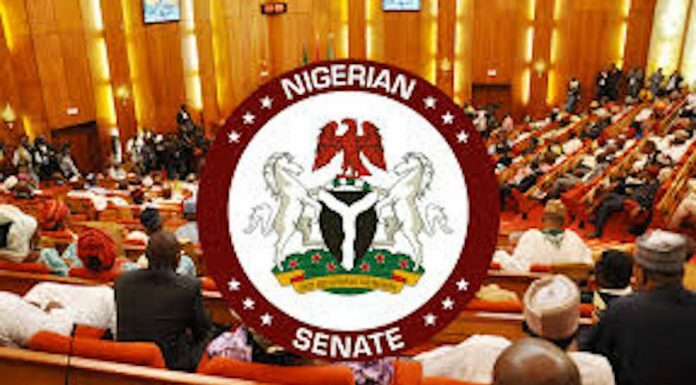 They also stated that it costs between N1.4 million and N1.5 million to transport a 40ft container from Tincan/Apapa to Kano, also in the North-west, and Yola in the North-east, respectively. Amiwero also said transporting a 20ft container from Tincan/Apapa to Onitsha, the commercial nerve centre of the South-east of Nigeria cost N550,000 from N250,000 while importers and agents pay N750,000 to transport a 40ft container to Onitsha. When contacted, the NPA said there was nowhere in the world where government dictated to importers where they wanted to discharge their goods. Assistant General Manager, Corporate and Strategic Communication, of the NPA, Mr. Nasiru Ibraheem, said the Nigerian ports could not operate in isolation, stressing that the NPA was doing its best to ensure that the ports were efficient and ran in line with global best practice. 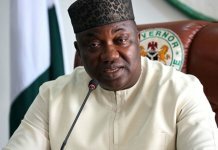 According to him, “The NPA do not have the power to tell an importer where to take their goods, if you direct an importer to Calabar for example and the cost to him is higher than coming to Lagos what do you do?” He debunked importers’ allegation that other ports were not being patronised because of low draft, lack of infrastructure and insecurity. He said, “That cannot be true because everybody’s opinion on what is happening in the port is different. Security is key for any port and the NPA provides that. All our ports have passed the ISPS code security test. The authority is dredging other ports across the country, as far as we are concerned we have provided the necessary infrastructure in all the ports in the country. We agree there are some issues with the Lagos ports. However, the federal government through the authority is working very hard to resolve the problem.